Two recipes that I want to share with you are waiting in the wings. One is a beautiful potato salad that is definitely going on my favorite list. The other is a birthday cake – a big fat chocolate birthday cake, perfect for feeding a crowd. But those will have to wait. I need to talk about chickpeas. And before that, a word about the Seattle dining scene. It was really not until recently, within the last ten years or so, that we even really had a dining scene. You could always get incredible Thai food, Vietnamese food, and sushi in Seattle. And fresh fish too. But other than that, pickings were a little meager. Slowly but surely, things are changing and some terrific new restaurants have opened recently. 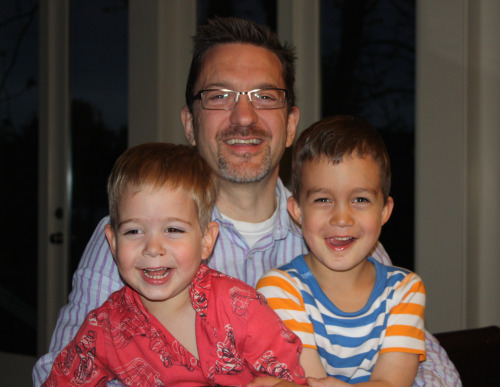 One of our favorites is Cantinetta, a truly sweet spot found about 2 miles from our house. Sometimes a restaurant just gets it right on all fronts. Cantinetta opened right smack in the middle of a great neighborhood, but not in the bustling business corridor, more in the area where people live. It is homey and welcoming inside. The service is excellent. The menu changes just often enough to make it interesting, but not so often that you mourn your favorite dish leaving before you could taste it again. That menu is comprised of four different categories and you can spend the evening there tasting bits from each section. The pasta is made on site and is some of the best I have ever had. There are always plenty of vegetarian options and they are starred so I don’t even have to ask. Soon after it opened, Randy and I ate dinner there with friends. Then we went by ourselves. Then we went with more friends. We recommended it to everyone. We had my 39th birthday dinner there and introduced it to my parents and brothers, all of whom loved it and have been back. My youngest brother gave us a gift certificate to Cantinetta for Hanumass last year and it was probably the best gift he has ever given me. It is a place whose food I crave and there are precious few restaurants in Seattle I can say that about. My sister-in-law was in town last Friday and Randy and I thought Cantinetta would be the perfect spot for dinner. We actually had not been in some time and I was excited about seeing a brand new menu. Suffice it to say that absolutely everything we ate was delicious. From the homemade bread that arrives on your table (featuring corn meal and olives) to the utterly creamy tagliatelle that I had for my main course. We loved every bite. In fact, we ordered so much and ate so much that none of us had room for dessert. My favorite thing I ate that night, in a sea of good things, was the most simple. Chickpeas, olive oil, Pecorino Romano, lemon. The beautiful little dish came to the table and I was shocked to see green chickpeas. Green means fresh. Where did they get fresh chickpeas? And can I have some?? I couldn’t really get a straight answer but after a moment I stopped asking and just started eating. Sometimes, when every single ingredient is perfect and perfectly balanced, the simplest dish is the best. That was absolutely the case with these little guys. So, what’s a chickpea lover to do? Try and re-create. Since there was no way (that I know of) for me to get fresh chickpeas, I did the next best thing which is to cook up a bunch of dried beans. I knew the somewhat mushy texture and tinny taste of canned beans wouldn’t work here, so I soaked and cooked up some dried chickpeas. (I have nothing against canned beans when they are going into a stew like this one or this one.) Because the restaurant dish featured tiny pebbles of the Pecorino – not flakes – I ground up a chunk of that amazing cheese in my mini-food processor rather than grating it. Out of the refrigerator came a lemon and out of the pantry I pulled my best olive oil, sea salt, and pepper mill. And away we went. At the end of it all, I was somewhat surprised to find that what I had created was an awful lot like what I tasted at the restaurant. Deceptively simple, incredibly delicious. I served some to a friend who was over for dinner and she loved them. I gave some to Randy and he thought they tasted just the same as Cantinetta’s. I’m not sure about that exactly, but they are pretty darn close. Please don’t roll your eyes and scoff – so simple Dana! – take just a bit of time, the best of ingredients, and decide for yourself. Definitely serve this dish at room temperature so the flavors can bloom and the chickpeas aren’t chalky. For the chickpeas, you might as well make a large batch and use them throughout the week. They are great in all manner of stews and soups, in salads, and you will probably want to make another batch of this recipe. Let dried chickpeas soak overnight in cold water that covers them by at least 2 inches. The next day, drain the water and rinse the chickpeas. Put them back in the pot, cover them again cold water and place on the stove. Bring to a boil, reduce the heat slightly, and allow to cook until chickpeas are tender, about 1 hour. Mix together all ingredients for dish in a bowl. Add more salt and pepper to taste. Dana, do you have any experience cooking dried chickpeas in a pressure cooker? I am wondering about it, as I only cook beans that way (the Brazilian way). Do you think they would go mushy too quickly? I recently had my first taste of fresh garbanzo as well and was delighted. Darienne at Cook Play Explore did a post awhile ago. Apparently Whole Foods just started carrying them in the Northeast. The season is short. If you have a Whole Foods nearby insist they get some in stat! I know they are grown in California and that’s probably where mine came from. And it seems like the chef would be more than happy to turn you onto a source after you gave such a glowing review! Thank you! Thank you for posting such a simple recipe. Simple gets overlooked and simple is so wonderful. I try to demystify cooking in my cooking classes for people and focus on a few good ingredients. This sounds perfect and I’m going to soak some chickpeas right now. They had green chick peas at Costco on 4th ave when I was there a couple of weeks ago. (They made me think of you). They were sold in huge bags located in the cold fruits and veggies walk-in at the back of the store. I thought to buy some, but it was a really large quantity and I had no idea what to do with them. Next time I am there I will check if they are still in stock. whoa I love this idea!! Talk about simple… but SO delicious! 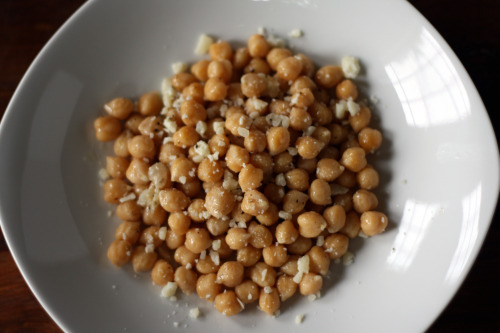 I love the flavor of chickpeas… and I hadn’t tried them until about 4 months ago! Can you believe that? So good! Great recipe Dana! Well if I ever go to Seattle (and hopefully I will!) I will certainly know where to eat (your house). 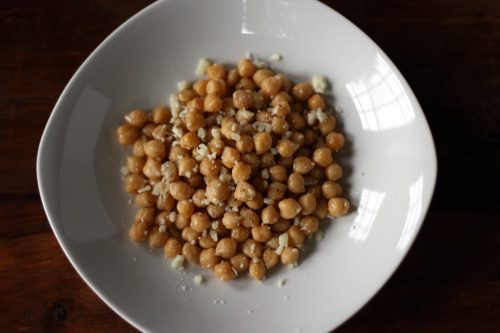 These chickpeas sound delicious…sometimes simple is really all you need or want. you can get the chickpeas at Frank’s Quality produce in puke place market, which is where we get all our produce from! Thank you for this recipe! I can’t wait to try it – I think my kids might go for this, they’ll both eat sometimes eat plain chickpeas, and they both love a good romano. And I’m in favour of anything this easy! Oooh, this looks good enough to make me encourage me to cook dried chickpeas. And I bet it would also work great with fresh favas! Oh my, I just finished tossing this together for dinner tonight, and I’m not sure I want to put it on the table – I think I might just take the bowl and curl up with it and eat it ALL MYSELF. It’s absolutely delicious! I have a feeling I’m going to be making this very, very often. I wonder how it would be with some fresh cherry tomatoes mixed in. Definitely going to try that once my garden starts producing! Mmm definitely have to save this recipe! I love that the cheese is in crumbles/chunks instead of grated.